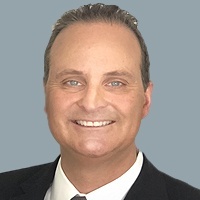 Grant Cunningham is a senior executive and advisor with more than 25 years’ experience generating significant revenue while enhancing margins in mid and large cap organizations globally. He has delivered results for organizations across a broad range of industries, including manufacturing, mining, global shipping & logistics, and building materials distribution. Grant started his consulting career in operations, championing transformation, challenging the status quo and driving fundamental improvements through data-driven decisions. He leverages his hands-on experience in sales, operations, supply chain, logistics, acquisition integration/synergy and P&L management, to bridge the gap between C-Suite and execution. He has successfully recalibrated leadership and functions of large multinational operations in the United States, Canada, Mexico, United Kingdom, Singapore and Indonesia, helping align departments eliminate redundancy and waste, increase sales revenue, improve operational processes, leverage technology and maximize asset utilization to optimize EBITDA. As a partner and executive leader, his most recent success grew the company from $650M to $1.7B prior to the liquidity event. Prior to Maine Pointe, Grant held several executive roles as a continuous improvement leader and P&L leader in building materials organizations, industrial services, commercial construction services, the automotive industry and internet start-ups.